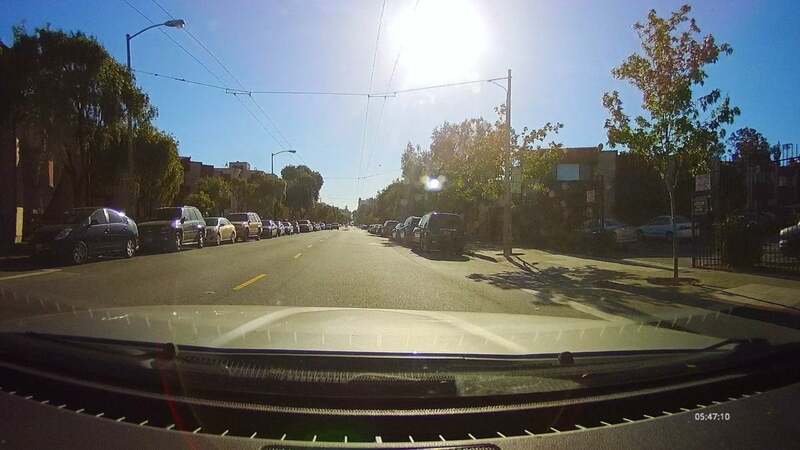 Great HDR video, and an easy interface enhance this dash cam's appeal. 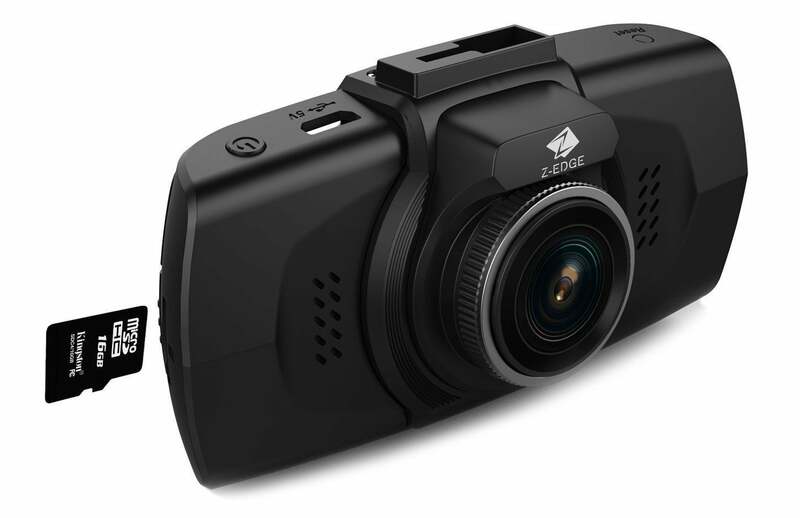 The Zero Edge Z-Edge Z4 dash cam has an evocative moniker, and it doubles down on aesthetic appeal. But handsome is as handsome does, and it’s the high-quality day video captures, HDR, and available super-wide 2560x1080 resolution that seal the deal. The major omission is GPS, but that’s not unusual in this price range (the Z4 is $89.95 on Amazon). 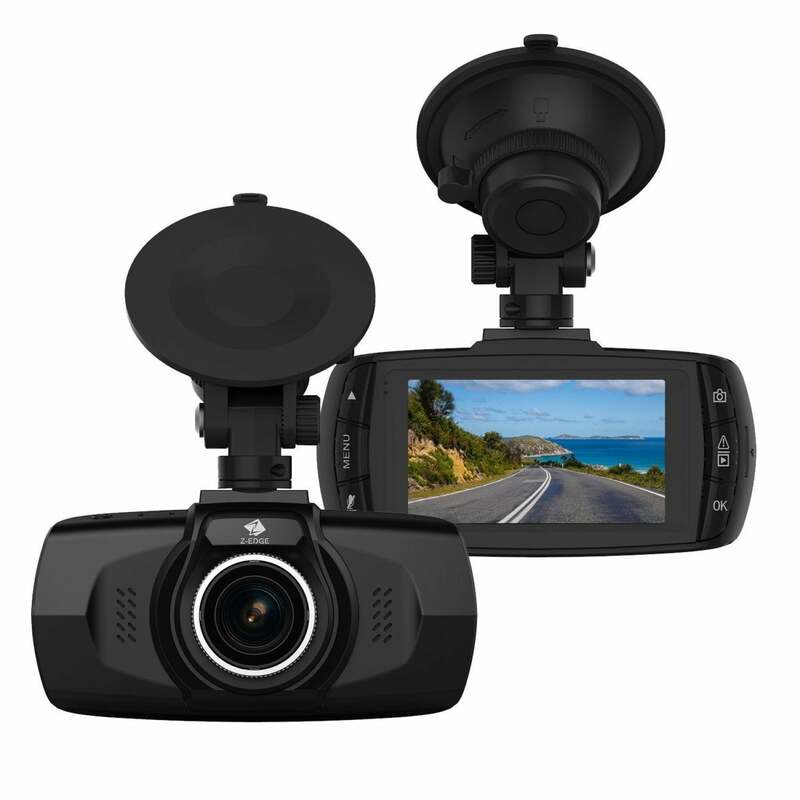 The Z4 is one of the better-looking dash cams you’ll run across, with a 2.7-inch color LCD display featuring a wide viewing angle, as well as sculpted sides and flush-mounted buttons. Said buttons include the microphone mute, menu navigation buttons, and a snapshot button. I found the on-screen interface very intuitive, and the icons, while tiny, easily recognizable. That’s not always the case. The suction mount that comes with the Z4 attaches to the top of the dash cam, and the micro USB port resides next to it, making it easy to route the cable along the visor space. However, as there’s no side tilt adjustment for the mount, only forward and backward, you must be very accurate when you attach the mount to the window. The tab on the suction cup serves as an alignment guide and should go top dead-center, as with most dash cams. Power is provided via a two-port auxiliary USB adapter. The cable itself is a standard micro-USB to USB Type A—charging only. A dedicated USB data cable is also included. The SD card slot is on the right side of the unit. The camera itself offers a 150-degree field of view, and sports resolutions from 1280x720 all the way up to wide-aspect 2560x1080. There’s also an oddball 2304x1296 mode. HDR is available, but only at 30 frames per second (fps), 1920x1080 resolution. There are also 45fps and 30fps non-HDR 1080 modes. Note that as with most cameras, the finer the video, the higher the storage requirements. Zero Edge's Z-Edge Z4 dash cam is surprisingly attractive. A G-sensor detects impacts, so video may be saved to prevent overwriting. I found the normal sensitivity setting satisfactory for my stiffer-than-normal track suspension, but greater and lesser settings are also available. 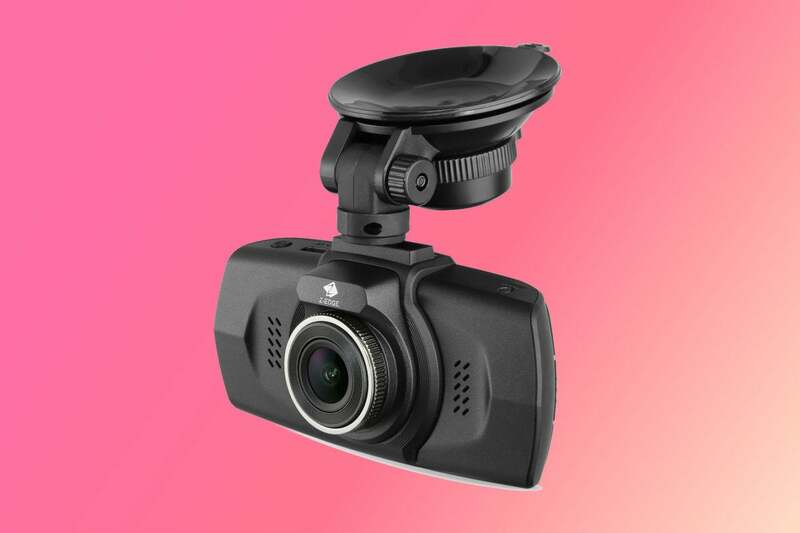 Beyond that, the dash cam offers the usual selection of adjustments, such as white balance, and normal/fine/superfine video quality. The Zero Edge Z-Edge Z4 dash cam ships with a 16GB SDHC card, an often over-looked necessity. The Z4 also sports a 180mAh battery that will sustain the G-Sensor and motion sensing by the camera when you’re parked, and supply power for video captures if a disturbance is sensed. Zero Edge claims around 20 minutes' run time, which is almost exactly what I saw under normal conditions. However, in low light (in a backpack), the unit chirped at me every time I bumped it for the better part of a day. Zero Edge doesn’t say whether the Z4 will shut itself off if it senses battery drain, but you can obviously extend the camera's battery life by using a hard-wiring kit. A power button on top of the unit will kill parking mode when you remove the camera from the car. The one feature missing that I would like to see is GPS. 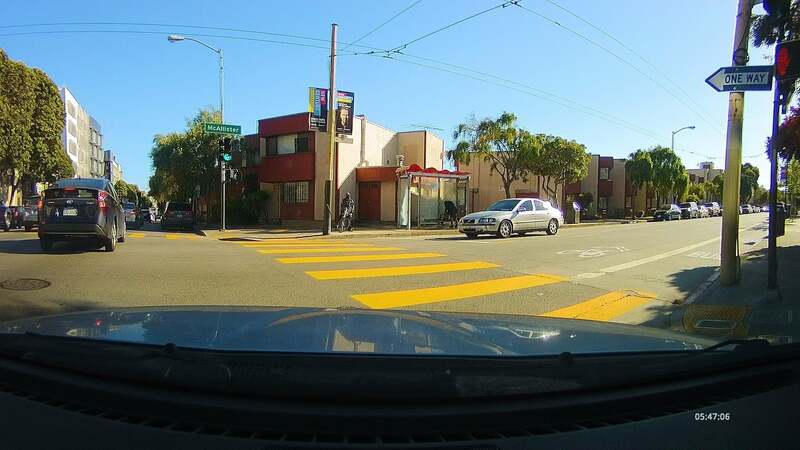 It could be of legal benefit in verifying the location of an accident, but it’s also super-handy if you’re using your dash cam to document your travels. Third-party GPS software (not from Zero Edge) can map where you’ve been using embedded GPS info, and can help you pinpoint the location of that cool rest stop you visited. The Z4’s day video is very detailed and sharp. I tried the various resolutions but wound up sticking with the 1920x1080 with HDR (High Dynamic Range—greater contrast and color). I like color, and the Z4 in that mode provides considerably more saturation than the others. Additionally, I’ve rarely found higher resolutions of much benefit for discerning detail. Either the camera’s optics aren’t up to it, or compression undoes the benefits. That said, the 2560x1080 the Z4 offers is merely wide-aspect and offered roughly the same detail as found in the 1920x1080 mode. I liked it and would’ve used it more regularly if it had HDR, and didn’t eat up storage so quickly. The Z4 takes nicely colorful video in its 1920x1080 HDR mode. The Z4 compensated quite well for glare from the sun. Much better than I did with old-fashioned squinting. The Z4 compensated nicely for the sun shining directly in both my and the camera’s face. Night video was decent, though not nearly as good as that of the Thinkware F800. But the Z4 is hardly alone in falling short of that camera, which costs three times as much. You can see for yourself below that details are likely good enough to take to court. 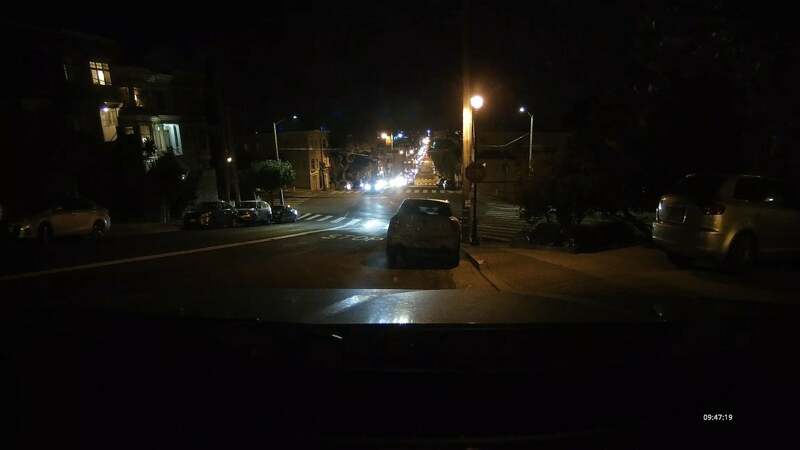 With oncoming traffic and street lights, the Z4 handled glare well, but showed scant detail in dark areas. The Z4 ran mildly warm, heating up a bit more with the LCD on. Zero Edge rates the camera’s operating temperature range as 14 to 140 degrees Fahrenheit, and -4 to 158 degrees non-operating. When all is said and done, the Zero Edge Z4 is a pretty good dash cam: nice-looking, with very good day and decent night video. It's easy to use, from the interface to the powerful suction mount. At $90 you sacrifice GPS, but if you're on a budget it’s as good a basic dash cam as you’ll find.